En Masse Entertainment, a player-driven publisher focused on delivering great games and exceptional service, reveals guilds can soon claim a castle in the clouds via the new Skycastle system in TERA’s next major content update arriving February 24. Following TERA: Fate of Arun, the first major expansion for the award-winning PC action MMO, this upcoming February update will heighten player experiences by focusing on guild rewards and group content, including a new 5-on-5 PvP Battleground, Champions’ Skyring mark V, and a new airship dungeon, Sky Cruiser Endeavor. 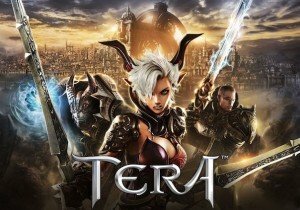 Since its launch, TERA has amassed over 17 million registered players around the world, a strong community of fans, and continues to see media accolades. Floating among the clouds above major cities throughout the breathtaking world of TERA, Skycastles are the ultimate symbol of prestige and accomplishment for the most dedicated groups of players. Available to the top-ranking guilds on each server via two new, ongoing four-week guild competitions that track guild points earned from dungeons, battlegrounds, and guild vs. guild battles. Each Skycastle can be customized to offer worthy guilds the ability to personalize their stake in the skies. In addition to the highly anticipated debut of Skycastles on February 24, players can also look forward to a new dungeon instance set on the airship Sky Cruiser Endeavor and a new hard mode of Bathysmal Rise, the popular underwater instance that arrived with the TERA: Fate of Arun expansion. The new dungeon instance Dreadspire is scheduled to launch in March of this year. For more information about the recently launched TERA: Fate of Arun expansion and to start playing TERA for free today, head to the official website at TERA-online.com.